Moving into your new dream house can be a daunting task. Between unpacking, cleaning and trying to find that stray roll of toilet paper, it may feel like you have lost your mind in a sea of bubble wrap. That is why I wanted to share with you five simple things that you should do that first month of living in your new home. These items may feel like back burner tasks but really, they will help you sleep better at night in your new abode and make you feel like your new place is less like a new house and more like your new home. When we moved into our dream house, we were tired, overwhelmed and couldn’t remember where we put the sippy cups for our 10 month old son…and we had no idea what to do first. Of course, we cleaned and unpacked….but what next? This handful of to-dos walks you through each of those tasks and why it should be done first and foremost. Security is the number one concern of most people in a new environment. You can easily switch out your locks and deadbolts to your new home to protect your valuables, your family and of course, yourself. Now is the time to consider the finish and the options are endless! When it comes to exterior locks, make sure you choose something that looks timeless and can be cleaned easily. A new security system is also a good idea. The options for this are endless as well. Systems with online monitoring, iPhone compatibility, thermostat control and even video monitors for the interior as well as your baby nursery are super helpful. Even if the room is empty now, it won’t be in the future – so go ahead and secure it! 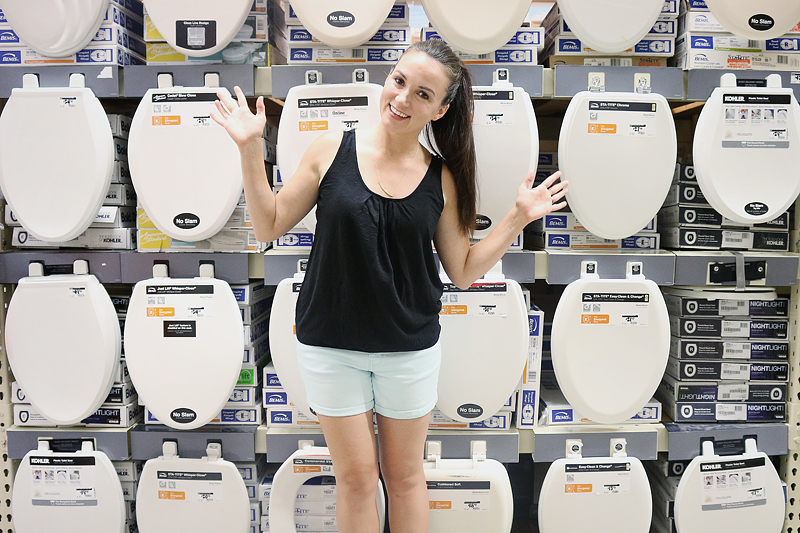 Some folks may think it’s unnecessary to replace toilet seats but my point here is to simply remove them. By removing your toilet seats, you will be able to really deep clean under the bolts and hinges where the ‘yucks’ like to hide. Your goal is to make sure your royal throne is YOU-worthy. After a thorough scrubbing, you can reinstall your existing seat or choose to shop for a new one (new versions with night lights, padding or even child sized attachments are now available!) and either way you will know your favorite seat in the house is ready for your entire family. Changing an air filter is really a three minute task but it should be done immediately after moving into a new home. 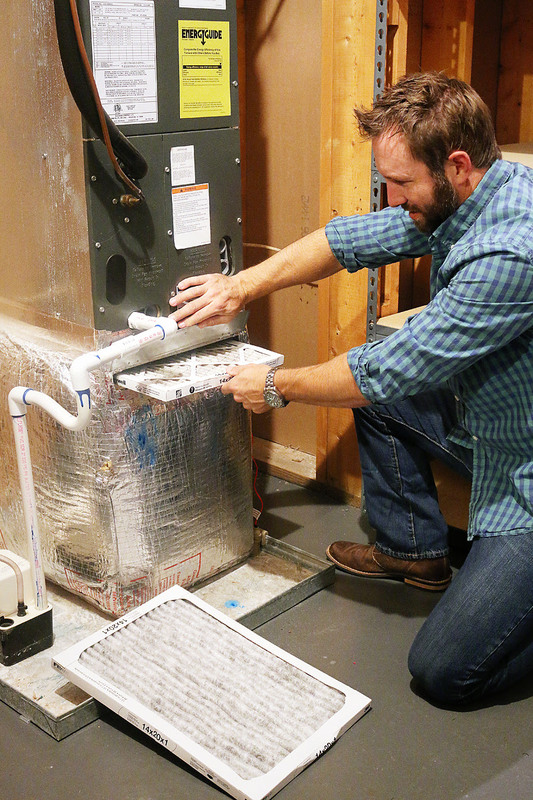 Even if the previous owners swear the chore was just done, changing out a filter can help improve the performance of your air conditioning and furnace units and help with any allergies in the home. This inexpensive fix can also save you money! The US Department of Energy says that replacing your dirty air filter with a new one can lower your A/C’s energy consumption by 5-10%. It’s a good idea to write directly on the filter when you put it in so that you can be sure to know how long it’s been since the last change. Also, take the time to test and change out batteries in all your smoke alarms and monoxide detectors. These are often tested during inspections but the batteries can die or tampered units are common especially if a house is left vacant. Painting your front door (or freshening it up with a coat of oil if it is wood) can show your new neighbors that you have arrived on the block and are investing in your home. This simple task is so easy! After you do proper prep work, make sure you pick an exterior grade paint and use a high quality bristle brush to give it multiple thin coats for the best coverage. It’s a great time to show off your personal style and these days any color goes! Every day you walk in through your newly made over door, you will feel welcomed to your new home and inspired to keep creating a space you love. Every house has a smell. You know what I am talking about. It’s that ‘other people’s smell’ that is definitely not your own particular brand of aroma. Even if the smell isn’t bad, it just isn’t yours and that makes you feel like an intruder in someone else’s space. Make your dream home even more dreamy by filling it with your signature scent. Don’t have a signature scent? Check out a candle store or the air freshener aisle to peruse the options and then use your favorite regularly in your new home. In homes that have particular distressing ‘stanks’ – try getting the carpets cleaned before moving the furniture in. It can eliminate the smell as well as remove allergens, dirt and stains. My favorite is an a lemon-vanilla-rosemary mix that I let simmer all day on the stove and it fills every room of the house! You did it! You are well on your way to making your house feel (and look and smell!) like home. It’s amazing how small changes can turn any place into your safe haven and make you feel comfortable. Making it your own is the best part of home-ownership! Looking for more ideas of what you need to do when you first buy a house? Here is a list of other things you should do when you first move in. Happy DIYing! With changing the furnace filter, I would also recommend scheduling a HVAC cleaning. You don’t know what allergens and other things are kicking around in your venting, and a good cleaning will have you breathing better, right away. If the previous owners had pets or were smokers, a cleaning in the fall and spring of the first year is a good idea. Great ideas! We just moved into a house and we did most of these so far (LOVING our keyless lock on our door). We have yet to paint the front door, but our house needs lots of love so mowing and edging the front yard was enough of an indicator to the neighbors that we were going to take better care of this place than the previous owners. Hoping to get to painting the front door this spring. These are great tips! We did all of these except paint the door–it needs to be done but we’re waiting to paint the whole exterior first. I would also suggest with replacing the air filter to also get your air ducts cleaned. We didn’t and need to BAD. Our house gets dusty so quickly. Our air filter for our HVAC is supposed to be changed every three weeks. My husband set an alarm on his phone to go off every three weeks to remind us to change it. We chose a day we are typically home (for us, Saturday mornings) to be sure we get that chore done. One less thing to remember! Katie…I love the color of your front door!!! I have a door dilemma…I live in a ranch style home..siding is gray and I want to paint my currently white door some shade of light blue (not pastel). However I have a white garage door and a white door to get into the garage…all on the front of the house. Would it look wierd to have the front entrance door a color and leave the garage door and other door white ??? Great tips! First things I do when in a new home is to clean all the door handles/knobs, light switches & banisters. Even if they look clean, I like to clear off the old energy. I have this same dilemma, you can see our “side door” from the front of the house (so it’s like we have two front doors!) . I’d really like to paint the main front door a bold color, but am worried that means my second door also has to be a bold color? I’m just not sure what to do with it! Thanks for any thoughts on this Katie! PS Do you already have a tutorial about painting front doors? I’m hoping to tackle this coming up this spring or summer! I would add refinish floors! Especially if it’s an old house and the floors haven’t been recently refinished. This is my biggest regret after owning my home for 8 years. We should’ve at least had the upstairs floors redone. They were passable then, but now – ugh! And the idea of moving all of the furniture downstairs or into a POD is a nightmare. So I am spending way too much money on rugs and praying that the hardwood refinishing fairy pays me a visit when I go on vacation next. Great tips. Did not think about the toilet seat. Happy move day for me last week of April. I know this post is a bit old but if you happen to read this here’s what we did in our situation. We have two doors out front also but I painted the mainentrance a pop of color and the side door the same as the house so it blends in. It looks perfect. You want your main entrance to pop, nothing more. hope that gives you an idea. These are good ideas for new owners. I can see how cleaning everything (carpet, floors, windows, drapes/blinds), duct work and changing filter will help, but simmering a few food products likely does not “remove” allergens. It may mask odors, or even irritate someone who is sensitive to odors. It applies to the sentence before it…where I said clean the carpets. Creating a scent won’t remove allergens. Just read it in context for better understanding. Moving this weekend. 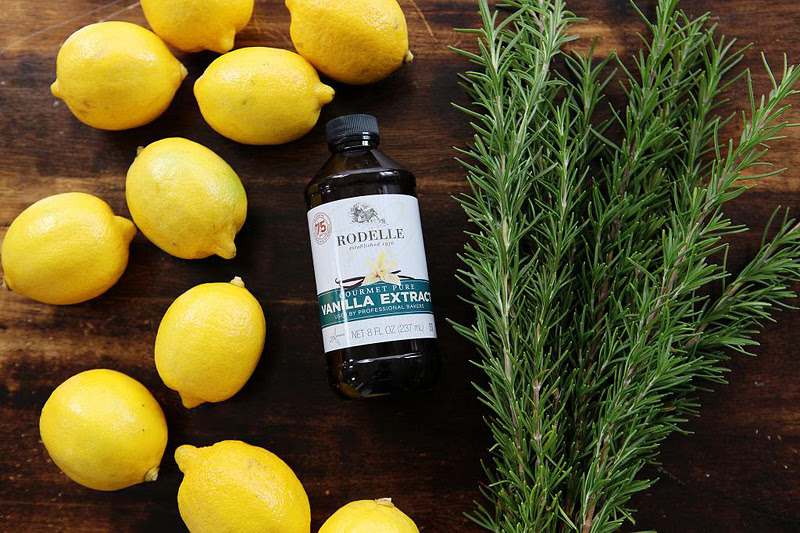 What is the combo for the vanilla, rosemary, lemon? I’d like to do it. So I added one lemon sliced up, probably like four long stems of rosemary and about a tablespoon of vanilla…but honestly, you can’t mess this up…just mix what you like best! Choose your favorite color for the main entrance. This will leave no doubt to visitors which door to arrive. Very valuable info. Thank you for sharing this blog. Thanks for some other informative blog. Being a homeowner comes with a lot of responsibility and a lot of opportunity — some of it exciting and some not so much. It’s important to keep up on routine maintenance, as well as be prepared for everything that may come your way before you invest in major home improvements. You can also diffuse essential oils to clean the air and mke it smell amazing.